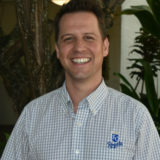 David O. Carter, PhD is Director and Associate Professor of Forensic Sciences at Chaminade University of Honolulu. Dr. Carter received his B.S. in Anthropology from the University of Idaho in 1999. In 2011 he earned his M.Sc. in Forensic Archaeology from Bournemouth University, United Kingdom. And in 2005 he earned his PhD from James Cook University, Australia. Dr. Carter’s primary area of research and consulting expertise is in the decomposition of human remains, particularly estimating postmortem interval. Much of Dr. Carter’s research focuses on the analysis of the postmortem microbiome and its use as spatial and temporal evidence. In addition, Dr. Carter has a strong interest in getting science and technology into the hands of the First Responder and investigators. Dr. Carter has served as editor for books on forensic taphonomy and forensic microbiology and published more than 30 peer-reviewed publications over the last 15 years. Carter has consulted on death investigations, domestic and abroad, for over 10 years while contributing expertise in taphonomy and microbiology to the training of crime scene and medicolegal death investigators as well as forensic pathologists.